Hello Hello! Are we all excited to dive into our organization goals? As I mentioned last week each week I will be tackling 1 of the 6 important places in the home to organize. 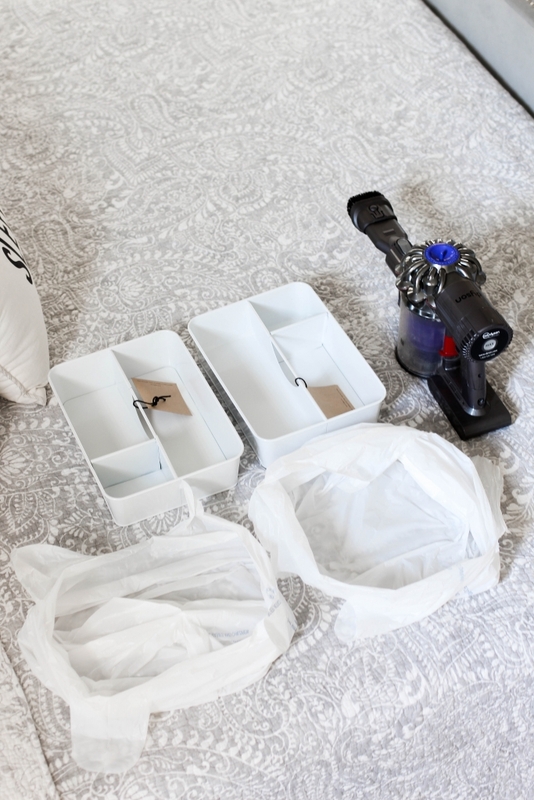 Today we are starting with the easiest on my list as it’s all about organizing that nightstand of yours. You know that one that has become the catch all for randomness! THIS IS WHAT MY NIGHTSTAND LOOKED LIKE BEFORE! YIKES!! As requested I made sure to add in a before shot for you all. As you can see mine is has lots of glamours goodies! I have dust bunnies, receipts, a very tangled pair of headphones and my personal favorite tissues! I know it’s horrible but don’t lie you probably have a few in yours too. Sappy Hallmark movies is what blame mine on! Now if you took my list from last week then you are all set for organizing. If you didn’t no worries I’ll give you some ideas on where you can shop for trays and bins. When shopping for bins and trays I like suggesting going to TJMaxx, HomeGoods and Bed Bath and Beyond. Here you will find organizing items in various sizes and shapes. Make sure to measure your drawers width and height so you know what to look for. I don’t know how many times I’ve had to return ones that didn’t fit because I didn’t measure. Start by getting one trash bag ready for items to toss and another one for items to keep. 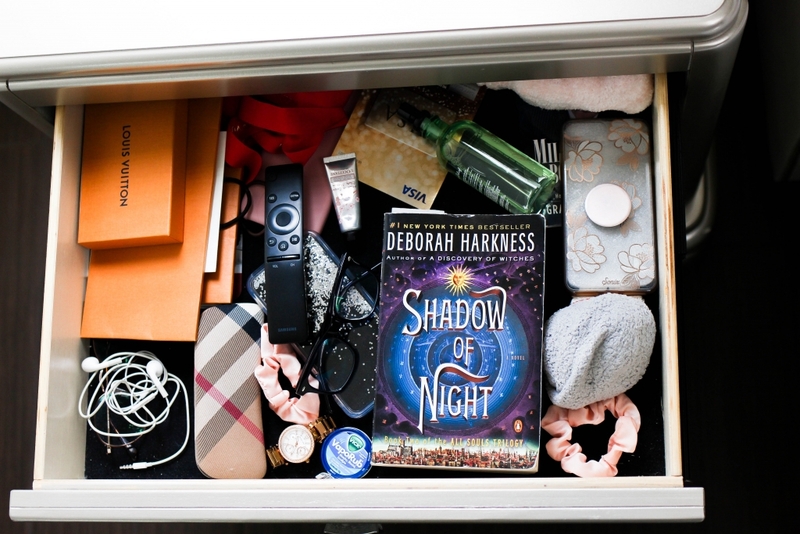 At the end of sorting you should have no items in your nightstand drawer. Next sanitize or vacuum the drawer. 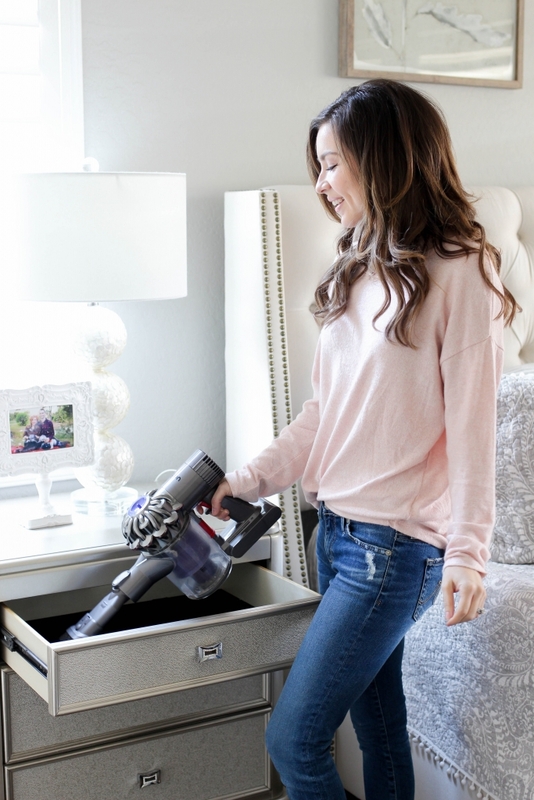 BYE BYE dust bunnies! Take a second to think what items do need to make this the perfect spot for you! PUT ON YOUR JAMS PLAYLIST! Take your tray (mine were $5 from TjMaxx) house items that bring you calmness and get you ready for bed. Bills, receipts and other distracting items should be in other designated areas. If I didn’t do this I think I would store candy bars in there and then that would lead to late night unhealthy snacking. Having organized my nightstand with what I need makes me appreciate the space it has become. When everything in this drawer has its own space I can easily find items and put things back. 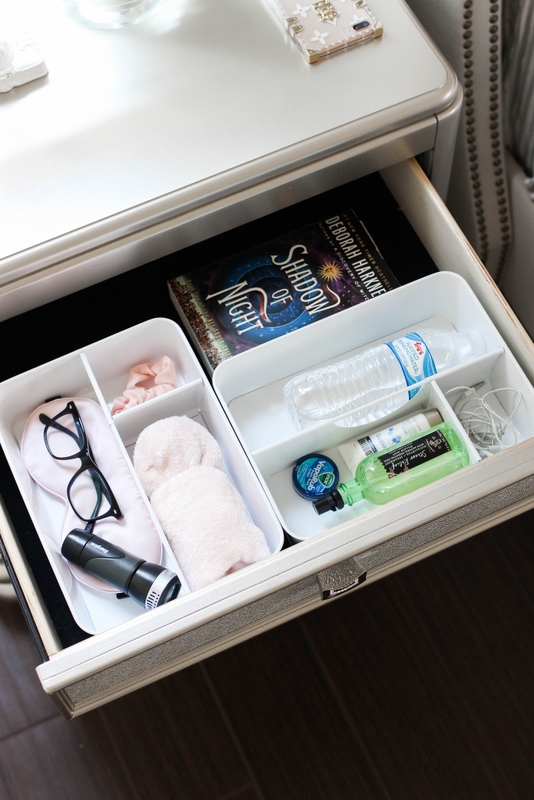 Remember organizing your home doesn’t have to be complicated! What should we organize next week? Fridge or the Pantry?